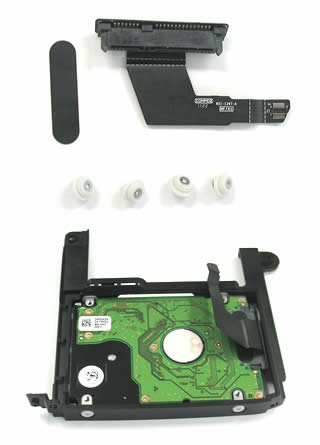 Mac People, a premier Macintosh magazine for Japanese Mac users, wrote a review on our Second SSD/HDD Installation Kit for Mac mini Mid 2011. They highlighted, "Drastically Improves the Usability of Your Mac Mini," and gave it the following review: Out of 5 stars, they gave 3 stars for "simplicity of installing," 5 stars for "effectiveness," and 5 stars for "cost performance." They further stated: "This install kit is a powerful tool to help you bolster the power of your Mac mini. If you want more speed, then you can choose to install a fast SSD. If you want more capacity, then you can choose to install a 1TB HD. Compared with the Apple BTO, you can freely choose your storage options, and the price is much cheaper."